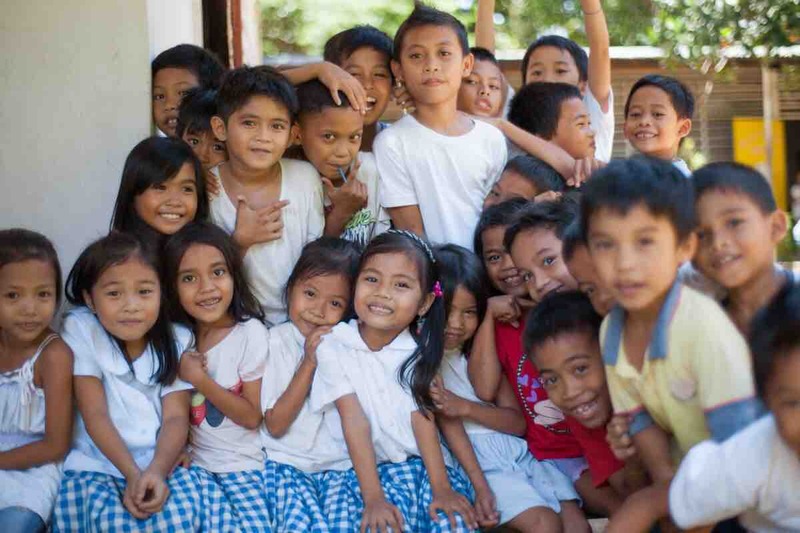 Fundraiser by Angèle Rose : Help Filipino children go to school! Help Filipino children go to school! I'm looking for 100 people who could help 100 children! Are you in? I'm Angèle, a French woman backpacking alone around the world, to meet inspiring people making the world a better place. So far, I've been to 12 countries in 12 months, to search for these everyday heroes and tell you their stories through my project, Bloom. And today, it's Joel's story that I want to share with you! Because 1. he is incredible, 2. these children are amazing and 3. They need our help! A few years ago Joel was visiting the beautiful island called Bohol and saw young children walking almost barefoot down from the mountain, who seemed to go to school. He went straight to their school to meet the director, who told Joel that many children have to walk sometimes up to 7km to go to school, because their families are poor and have no transportation. Can you imagine walking 7km, EVERYDAY to go to school?! It’s crazy! They get there so exhausted, thirsty, hungry and eventually they end up dropping out. So Joel decided to try something: He asked for help around him to collect old bicycles for these children so that they can go back to school and get graduated. He received one bike, 2 bikes, and 10 and then 100 bikes… and it never stopped! 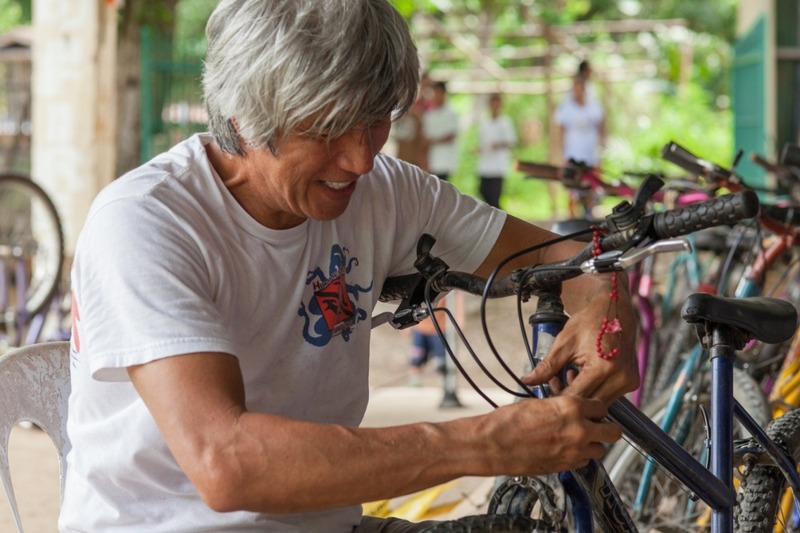 Since he started, Joel has given around 2000 bikes to children who are RIGHT NOW back in school thanks to him! Joel is dedicating all his time and energy to help as many children as possible, but it isn't always easy for him to pay for everything he needs for the children... One of the biggest cost for him is to pay for helmets for each child, so that they can ride to and from school SAFELY. In deed, most of the time these children live in the mountains, roads are bumpy and muddy, they are a lot of trees and rocks... Sometimes they even have to ride in the dark! It's not an easy ride for these young students and we want to make sure they stay safe when riding their bikes. 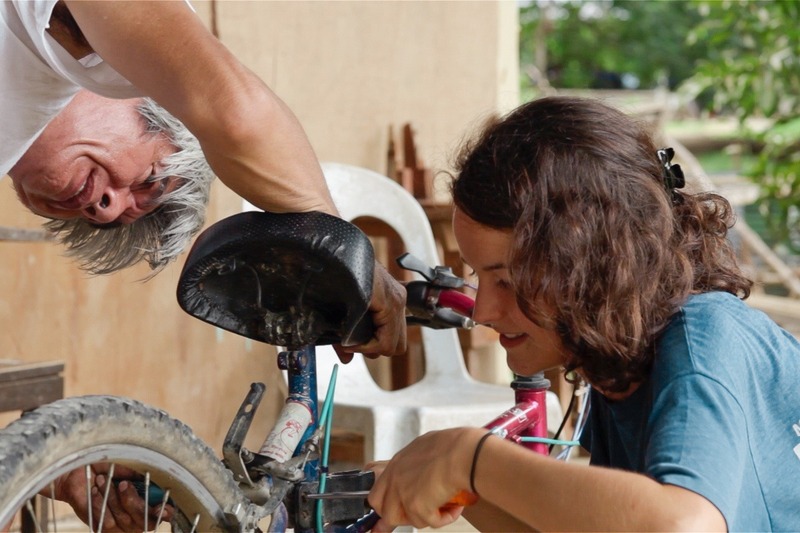 Joel has been working almost on his own for years now, travelling around the Philippines to find children who need help to access education, and I really believe that ALL TOGETHER, we could give him a hand! I’m looking for 100 people, who would be ready to help 100 children by offering them a helmet that costs 12 euros. Once the goal will be reached, Joel will buy 100 helmets from a local store in the Philippines, and will give them to the children! I'm convinced that together, we can make is happen... Keep in mind that even if it doesn't seem much to you, 12 euros is enough to keep one child safe on his/her bike, everyday for his/her entire education! Please share this with your friends, talk to your family or anyone who you think would be happy to help! The more people we are, the more we can help! 100% of your donation goes directly to Joel for the children. For those of you who already donated, THANK YOU FOR YOUR TRUST! All this wouldn't happen without you!